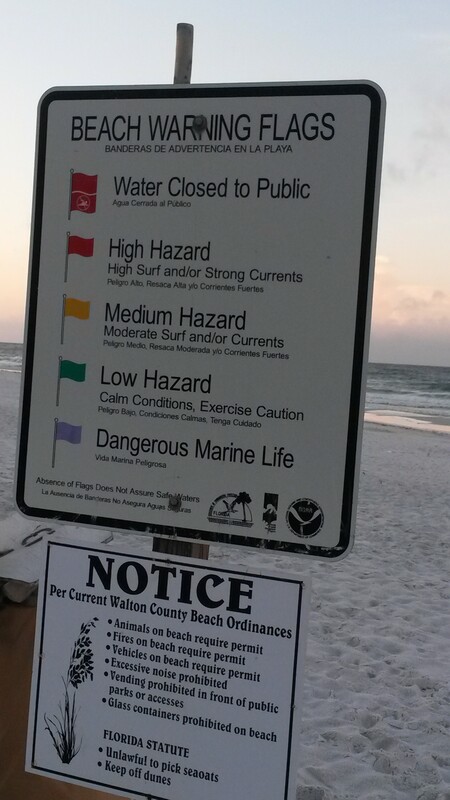 On our recent vacation to Florida I was particularly aware of the warning flags that are posted on the beach. 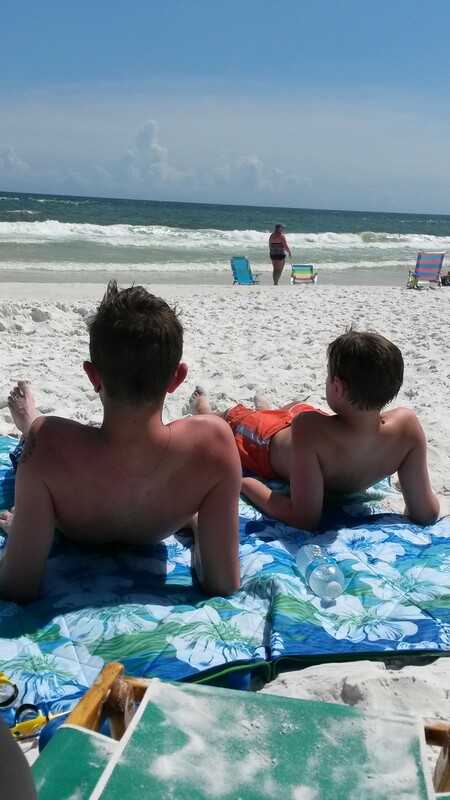 My children are older now and do not need me to be with them in the water or even at the beach with them at this point. Most days we all went together but sometimes they headed out earlier than their dad and myself. On those days I reminded them to pay attention to the warning flags so that they would know if the currents were strong that day or not. Having lived in Florida at one time, we are all too familiar with the dangers of rip tides so I wanted to ensure they were paying attention to the conditions and were well prepared. My children are not trained to spot the dangers of the ocean. Neither are my husband and I as their parents. But what we learned on this vacation is that there are trained “spotters” who fly over the ocean each morning to assess the current and the threat level. 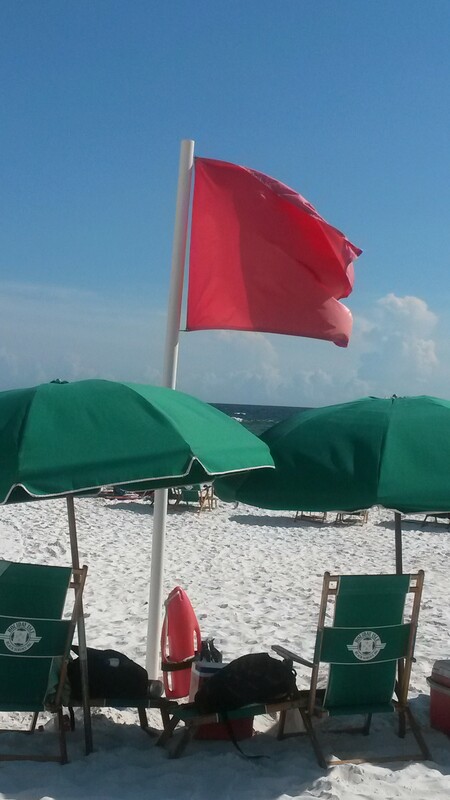 They then pass on their assessment to the lifeguards and other personnel onshore who raise a particular color flag that represents the threat level as determined by the spotter. As untrained beachgoers, everything may look fine to us. The waves are crashing against the shore, the sun is shining, our sunscreen has been applied and we are ready to hit the water and have some fun in the surf and sand. We can be laughing and frolicking in the water completely unaware of the conditions that we are in. 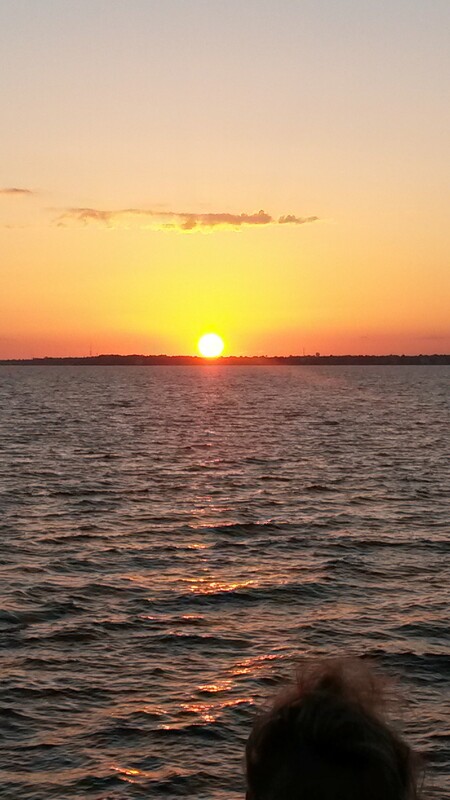 Our untrained eyes cannot spot the imminent danger of the currents. And without the warning from a trained and experienced individual, we could quickly find ourselves in danger. As Christians we too need the training and experience of mature Christians to warn us when we may be facing imminent danger – danger that we may be completely unaware of. As a new believer I had much to learn about the dangers we face from our enemy, the devil. I was oblivious to the fact that he sets traps for us to draw us into temptation and away from the protection of our loving Father in heaven. I needed those who had been following Christ for much longer than me to disciple me and teach me how to spot the danger that was many times unseen by my untrained eyes. I needed trusted women in my life to show me when I was entering into relationships, behaviors or actions that might seem harmless on the surface but underneath could open the door to traps placed by a cunning and deceptive enemy who wanted nothing more than bring destruction upon my life whether through my marriage, my children, my finances or by any other means he could find. I needed those women in my life to assess my current situation by asking me tough questions like – Are you spending time in prayer and reading the bible? How is your marriage, your children, other relationships? Is there any sin in your life that you have not turned away from? Are there any unresolved hurts or unforgiveness in your heart? I needed those women to challenge me so that I could grow in my faith and so that my life could be transformed and I would desire more of God and His ways and less of what I thought I wanted. I needed those women to encourage me when fear and doubt crept into my thoughts. I need those women to hold me accountable when I began to veer away from God’s plan for my life and headed back toward trying to do things my way. I needed them to pull me from my comfort zone as they stood by me in faith trusting God to lead me as I learned to surrender control of my life over to Him. I needed those women just like my family needed the spotters on vacation who kept us from danger. We were never created to live our Christian lives on our own. We need the guidance of the Holy Spirit along with the wisdom of trusted, fellow believers to help disciple us as they teach us how to walk out our faith for life. We need spiritual family to encourage us and hold us accountable so that we may live a peace and joy filled life that God intends for us to. Do you have someone in your life who will warn you when you’re approaching dangerous waters? Do you have experienced, mature Christians who can spot the traps that have been laid for you and will teach you how to spot them for yourself? Do you have spiritual family that will walk alongside you as you seek God’s will for your life? If not I encourage you to get involved in serving at your local church or sign up for a small group bible study where you can meet those who can be your “spotter” because some day there will be someone who needs you to be a “spotter” for them.